In 2020 Tokyo will have the Olympics and Paralympics and the athletic accommodation is planned to be in an area of Tokyo called Chuo-ku. 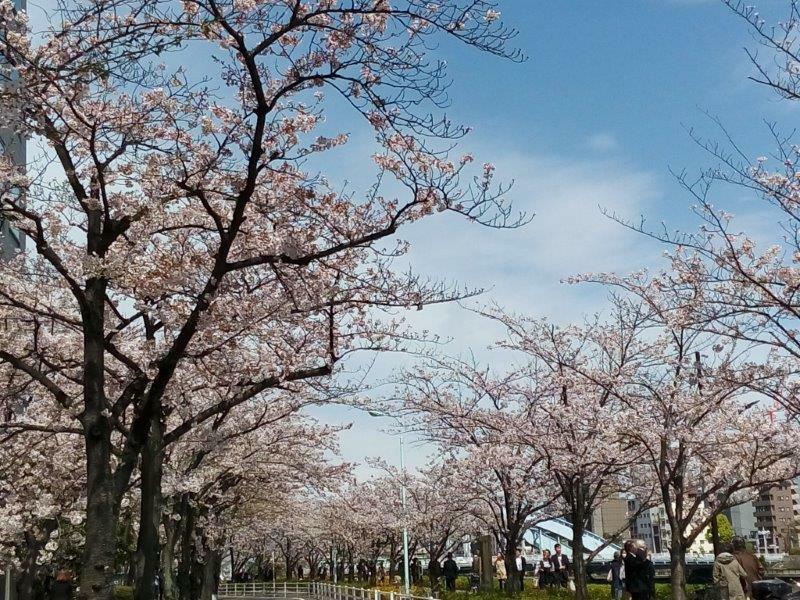 In Chuo-ku there is a lot of beautiful cherry blossom (SAKURA) spots. I will introduce some of the SAKURA spots in Chuo-ku which are a little bit different from the usual sightseeing places. Very close to the shopping center of Tokyo, Ginza and near the famous fish markets started in 1935 called Tsukiji. This area which stretches for about 2 kilometers and is accessible by three bridges which starts with Chuo-Ohashi bridge in built the year 1994. 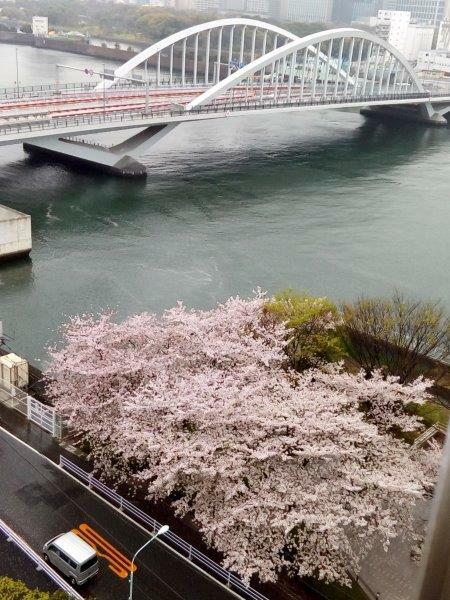 Next to Chuo-Ohashi bridge is Kachidoki bridge which is famous for being one of the first opening bridges constructed in Japan built in the year 1940. The last opening of the bridge was in 1970. And next to Kachidoki bridge is the as yet inaccessible bridge Tsukiji Ohashi which is being constructed for the Tokyo Olympics in 2020. Here is a riverside area which offers excellent views of the cherry blossom trees and many good and authentic restaurants in close proximity. Between the end of March and beginning of April you can see the trees changing their coats of color from pale white to pink, and bright crimson. 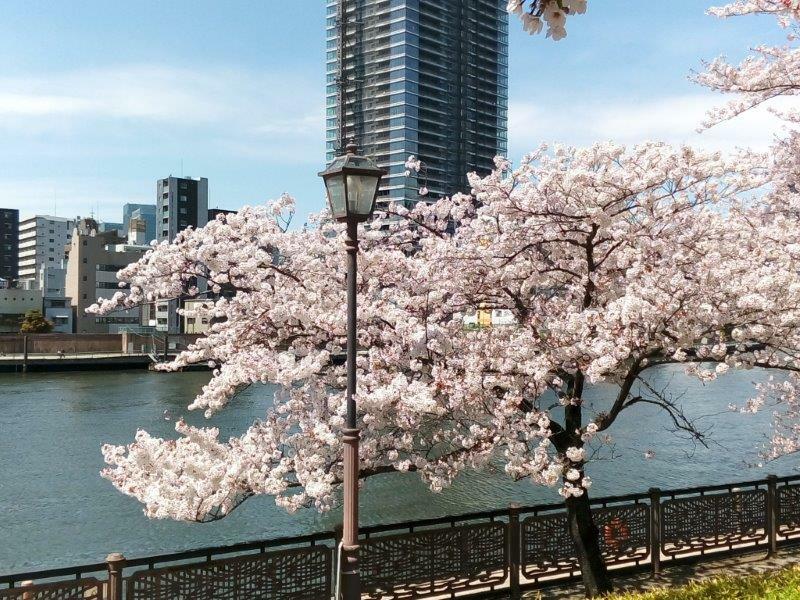 Tsukuda Park which runs along the Sumida river and is closest to Chuo-Ohashi bridge has a walk of about 20 minutes with 2 levels of about 120 SAKURA trees with the lower level being adjacent to a boardwalk which offers lovely views of the river and the adjacent city lights. Every day and particularly gorgeous in the evening, you can sit or stroll and watch the lights and the dozens of colorfully colored boats passing by along the river at this time of year. 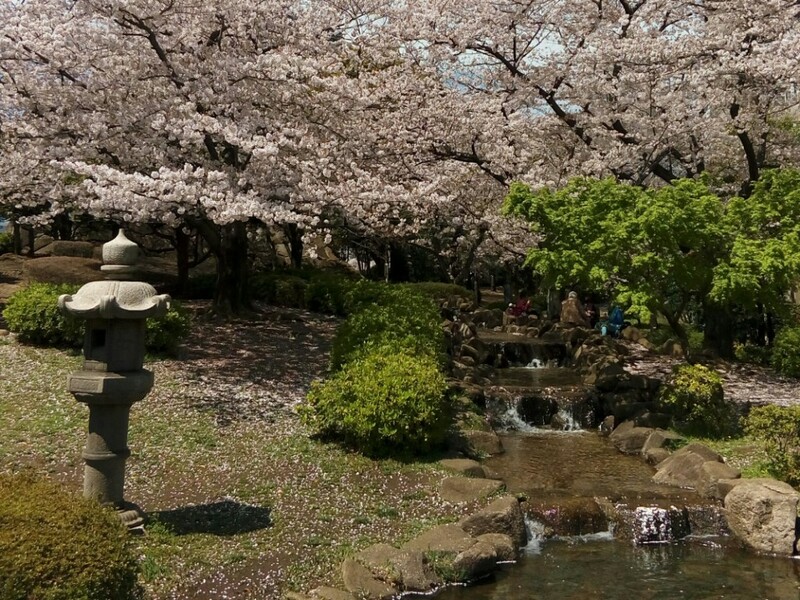 Tsukuda park is famous for SAKURA it has some types of cherry blossom trees one of which is the famous SAKURA called “someiyoshino” and others. 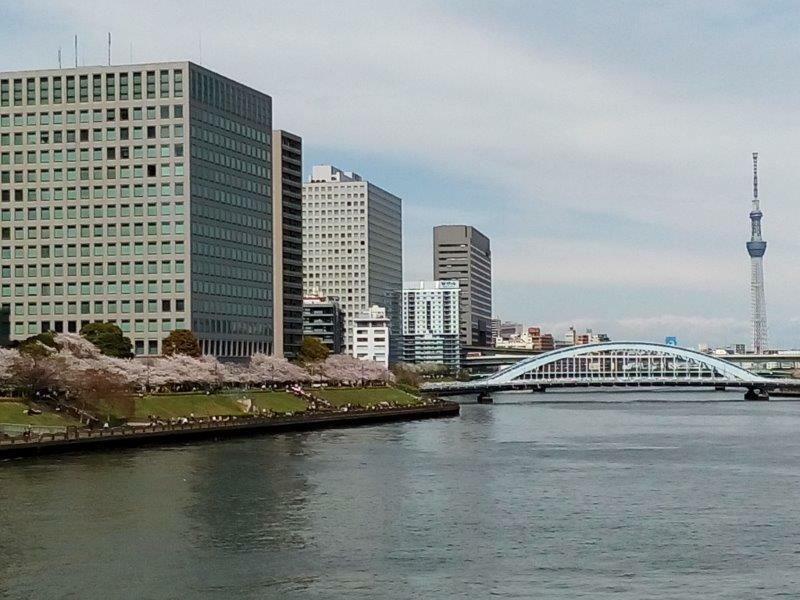 It is located on the south of Chuo-Ohashi bridge and on the north side is Ishikawajima park which connects with Sumida river terrace. In the park there are high floor apartments called river city 21 and there is a little stream called “Tsukudasisen” in the park. You can enjoy beautiful SAKURA and high technology buildings, you will find out the contrast is not bad. 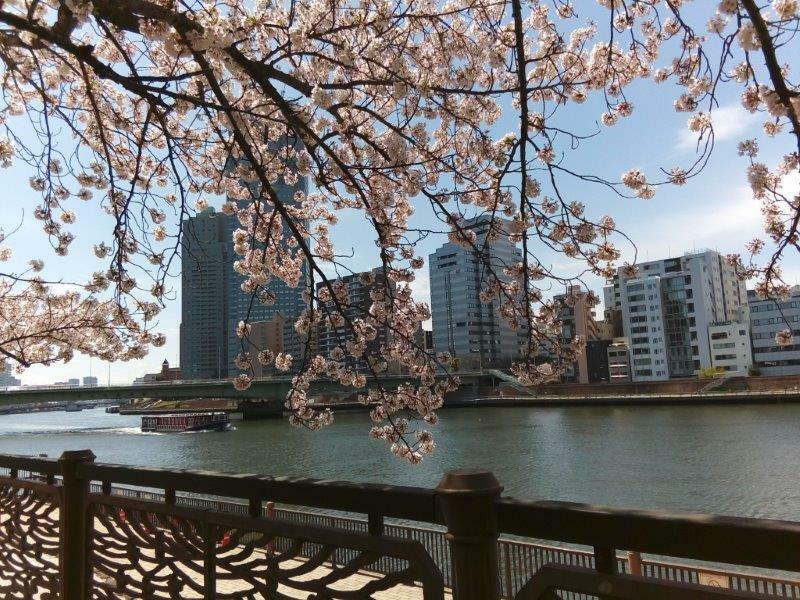 During the daytime some people bring lunch boxes and they enjoy HANAMI (cherry blossom viewing) under the cherry blossom trees, lunch with friends and family and some people are looking at the Sumida river under the blossoms. You can feel that time is moving peacefully and slow. Tsukuda park is also famous for it’s night view. This night view is lit by river city 21 and Chuo-Ohashi bridge, and you can see the famous sky tree which is tallest building in Japan. 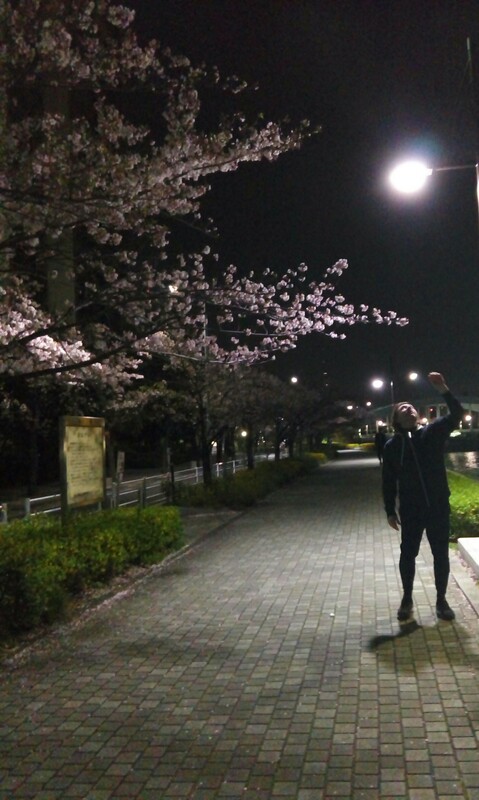 In the evenings you can see night time SAKURA called YOZAKURA, which gives a very different feeling from daytime. I like walking in this park at night time it is quiet and beautiful. 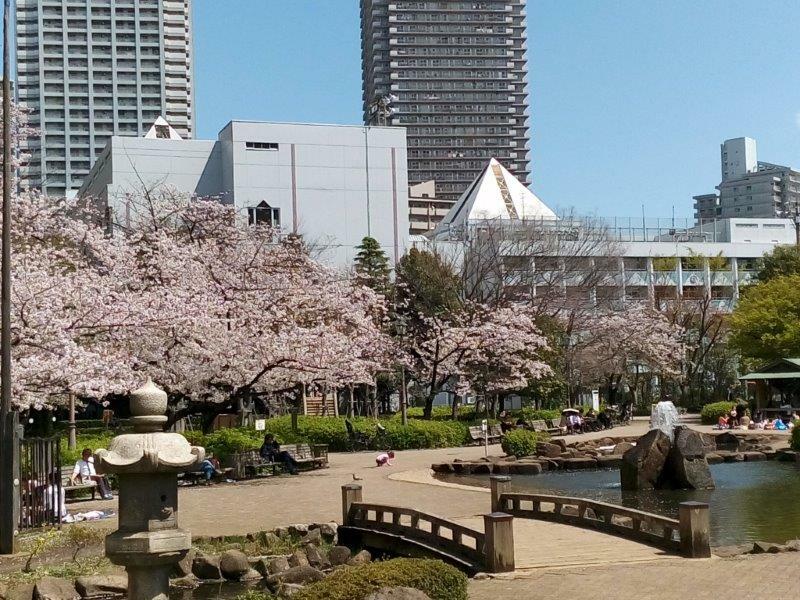 After you enjoy Tsukuda park you can walk over Chuo-Ohashi bridge and you can see another SAKURA park in Shinkawa park ( Shinkawa Koen). Shinkawa park is between Chuo-Ohashi bridge and Eidaibashi bridge. There are about 60 cherry blossom trees in this area. 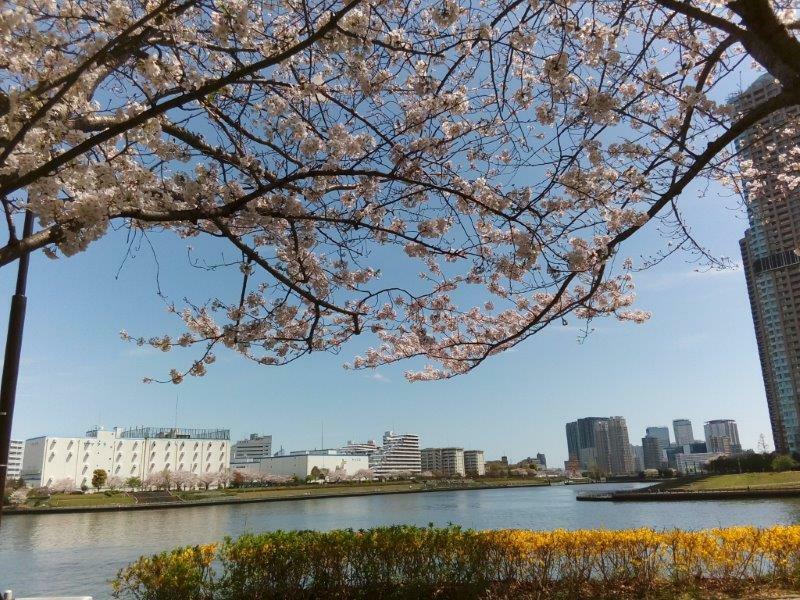 You can also see Ishikawajima park’s SAKURA trees from Shinkawa Park over the river. 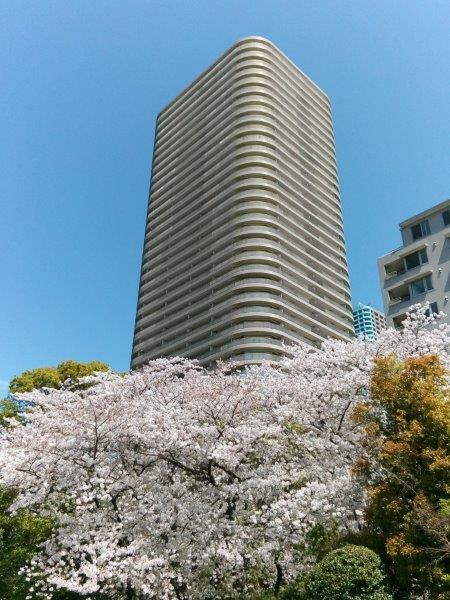 It is located in front of Sumitomo twin towers which are very well known office building. A lot of business people have a rest here in their lunch break. And in SAKURA season some of these business people have HANAMI too. Here is great for jogging and going for a walk too. When I was walking here one evening it was a bit breezy, and the cherry trees were shedding there blossoms like snow, so I could feel as if I was having a shower of SAKURA around me. It was such a terrific experience. Also this area has been used in many dramas and films, if you go there you can often see camera crews and maybe a film star too. Each place has a different atmosphere and history. I like Chuo-ku and I like it’s SAKURA. I would like you to see these places, authentic and true where Japanese people live, work, party and enjoy that wonderful time of year which is the cherry blossom season. *Please check the latest information before visiting.